It’s no secret the mullahs controlling the Iranian regime despise any form of dissent, especially anything that could be construed as homegrown. While the mullahs try to brush off criticism from the international community, it’s harder to turn a blind eye when their fellow Iranians are the ones leading the protests. A proverbial thorn in their side has been the Iranian diaspora made up of exiled and expatriate Iranians living around the world. Many were initially stranded outside of Iran when the Islamic revolution swept through Iran, while others have fled the regime’s extremism over the years. That diaspora consists of nearly five million Iranians living abroad and large numbers of them actively participate in a variety of human rights and dissident groups dedicated to improving conditions within Iran or peacefully working for regime change or at least better human rights and religious freedoms. One of the largest and longest active dissident groups has been the Mujahedeen-e-Khalq (MEK) which has earned him top honors on the mullahs’ hit list of most wanted. 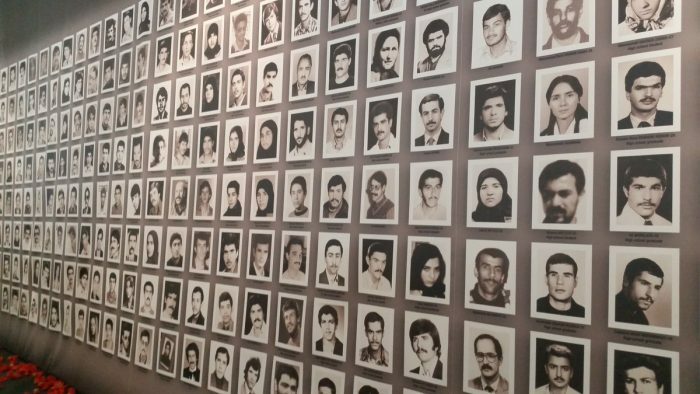 It has received special attention from the regime, including its infamous Ministry of Intelligence and Security (MOIS) which has waged a decades-long campaign aimed at disinformation, slander and even organizing attacks against MEK members. Those past attacks have included strikes against refugee camps for Iranians who fled Iran, many of them MEK members. The Iranian regime, working with Shiite militia allies in Iraq, staged frequent attacks at these camps where the residents were unarmed, slaughtering scores of them. The MEK has continued to be a sore point for the regime by uncovering all sorts of secrets in Iran, including the clandestine nuclear program that soon became the focal point of international sanctions. The dissident group has also provided one of the few reliable channels to the outside world of what is going on inside the closed of Islamic state, including photos, videos, and testimonials of public executions, abuse of women and mistreatment of ethnic and religious minorities. The regime has not been able to shake these dissident groups off of itself no matter how hard it tries to kill off its detractors, but most of these efforts have been focused on attacks in distant places, cyberspace and in the arena of public opinion. Recently the Iranian regime sanctioned what may be its most brazen effort yet in planning to bomb an annual gathering of Iranian dissident groups including the MEK a massive rally outside of Paris with scores of distinguished luminaries in attendance, including former New York Mayor Rudy Giuliani, who now serves as President Donald Trump’s personal attorney. Assadollah Assadi, a Vienna-based Iranian diplomat, was suspected of contracting a couple in Belgium to attack the according to German federal prosecutors. “Just this past week there were Iranians arrested in Europe who were preparing to conduct a terror plot in Paris, France. We have seen this malign behavior in Europe,” Pompeo said in an interview with Sky News Arabia. The extent of the bomb plot and the potential to kill and maim so many non-Iranian dignitaries and journalists attending the gathering demonstrates how desperate the regime has grown as it faces unrelenting pressures at home and abroad with massive protests and demonstrations over a spiraling economy and renewed economic sanctions by the Trump administration. The National Council of Resistance of Iran, an Iranian dissident umbrella group that sponsored the Paris gathering, quoted its intelligence sources inside the country as saying that Iran’s top mullah, Ali Khamenei, and President Hassan Rouhani approved the bombing plan. “In Belgium, it is more probable that Assadi will face justice and has to answer all sorts of questions and does not have any diplomatic immunity,” said Shahin Gobadi, a MEK spokesman. The MEK intelligence report said the Paris attack was approved months ago by every lever of Iranian power, from the supreme leader to the foreign and intelligence ministries to the powerful Islamic Revolutionary Guard Corps. The report said Assadi’s cover was as a counselor. In fact, he is the MOIS station chief in Vienna and the ministry’s coordinator for other stations in Europe. “His main task was espionage and conspiracy against the [MEK], and he has been traveling to various European countries in this regard,” the report said. The level of hubris it takes for the Iranian regime to stage an attack on French soil at an event with a global television audience makes it a worthy parent to terrorist groups such as ISIS and Al-Qaeda. It may be high time for the mullahs to pay a heavy price for sanctioning such an act of terror.